Please have a short contemporary monologue ready to perform for the first class. 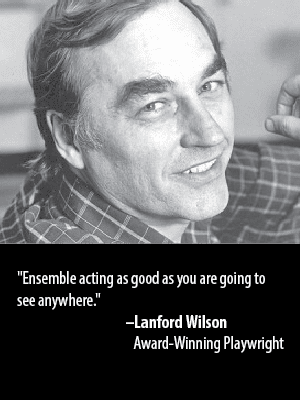 In this class, actors collaborate with directors under the guidance of a TBG instructor. In the first class, actors must prepare a 1 to 2 minute contemporary monologue, as actors will audition for the directing students taking Directing Workshop I. In the second class, The Barrow Group Approach to Acting is explored by both the directors and actors. In the remaining classes, directors and actors put up scenes and explore the rehearsal process — examining how to make the process more efficient, the story being told more powerful, and the communication between actor and director. Actors are introduced to The Barrow Group acting tools and Script Analysis. Actors will work on two different scenes: directors choose and cast the material for the first scene, and it is a collaboration between the actors and directors for the material for the second scene. *Please note, outside rehearsals with your director/fellow actor are required for this class. Applicants should email their resume to school@barrowgroup.org to be considered for this class. This class is not meant for beginners.